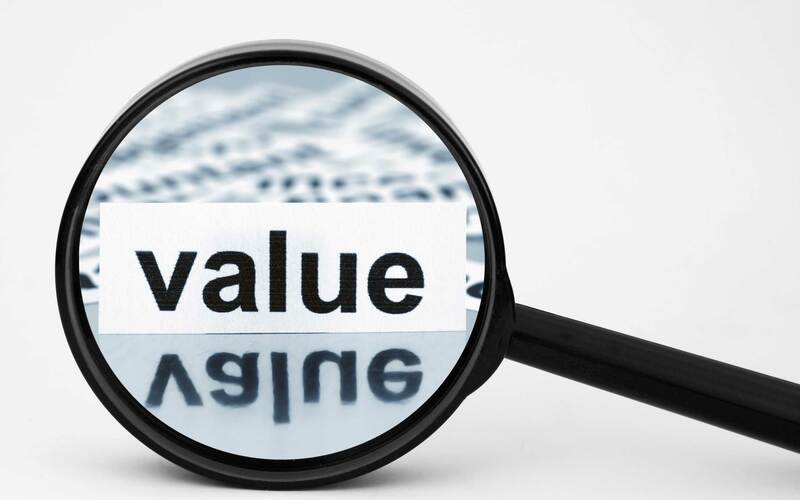 There is no exact formula for determining the value of a company, but considering certain variables helps sellers and buyers arrive at a value range. Sellers tend to approach the sale of their companies thinking in terms of prices that are higher than the market is willing to pay. Although the sale of a company is a personal event to the seller, it is a business transaction for the buyer. Remember that a buyer will not overpay for a company. Sellers’ expectations need to be based on realistic valuation approaches. There are four types of buyers for companies, and their reasons for buying a company affect the value they see in it. Strategic buyers want to purchase in order to control a particular business category. Investment buyers are interested in owning and running a company and generally purchase a smaller company. Financial buyers are institutions or groups, such as equity funds, interested in buying and consolidating companies that produce products in a particular category. Liquidation buyers want companies that are bankrupt or liquidating. * The income approach. Often used for validating a purchase price, the income approach generally focuses on net present value using discounted future cash flows after tax. This approach can tell a buyer whether future cash flows can substantiate the purchase price, and what additional capital investments in the company may be required. * The market approach. Generally used to provide a guideline or range to support the value of a company, this approach can be based on comparable sales transactions of private or publicly-traded companies that are similar to the company being sold in terms of revenue size and product focus. Alternatively, a market approach to determining value might focus on a multiple of profitability, typically EBITDA (earnings before interest, taxes, depreciation, and amortization). The greater the EBITDA, the higher the potential value of the business. Potential buyers will apply their own ratios and return on investment benchmarks. * The liquidation approach. Generally used for companies that are bankrupt or going out of business, this approach usually generates the lowest purchase price. The products and services a company offers have a great impact on the value to buyer. Proprietary Products tend to have the highest value because they provide higher sales prices for products, higher profit margins, brand recognition, trademark protection, lower returns, well defined and accessible end users, and a relatively high barrier to entry for competitive product lines. Exclusive Service or Distribution Right or Licensed products or services constitute the next level in the valuation hierarchy because of their mid- to high sales prices for products, high profit margins, and low returns. Generally, the company also offers a small component of proprietary products. Distribution of non-proprietary products is a business model where the company distributes multiple recognized brands within product categories. Distribution-only businesses have lower values due to of lack of product control, product pricing pressures, high returns, greater competition, and because there is a low barrier to entry for companies to vying to distribute the same product lines. Under $500K. A company with annual net revenues below $500,000 is very hard to sell. Buyers place lower values on these companies due to their size, because standard valuation approaches are difficult to apply at this revenue level. $500K to $5 million. Companies with net revenues in this range tend to focus on a product category and standard valuation approaches can be applied. Sellers must provide good financial information, evidence of smooth-running operations, and a history of profitability (see last month’s article in this series titled What Buyers Want to See). $5 million to $20 million and up. These companies tend to have proprietary products or leading brands in their product areas and categories. Buyers find them most desirable and can easily apply standard valuation approaches to determine purchase prices. The next article in this series will cover strategies you can use to create more value in your company. The Siburg Company is a boutique consulting firm specializing in financial and operational consulting with an emphasis on mergers and acquisitions. We invite you to call us to discuss your current business needs or to schedule a future appointment. Previous: Previous post: What Creates Value in Your Company?